The next morning it was onto our last adventure, “The quest to find the best souvenirs in Playa del Carmen.” This should have been an easy task considering that I danced in one of the hottest night clubs in Mexico last night and knew the location fairly well – “Akumal Beach Resort Pool Day; Majestic Mexico Venture Continued.” To summarize Playa del Carmen, this little Mexican town is recognized for its active nightlife trusty souvenirs, and provides a taste of the sea in each attraction. 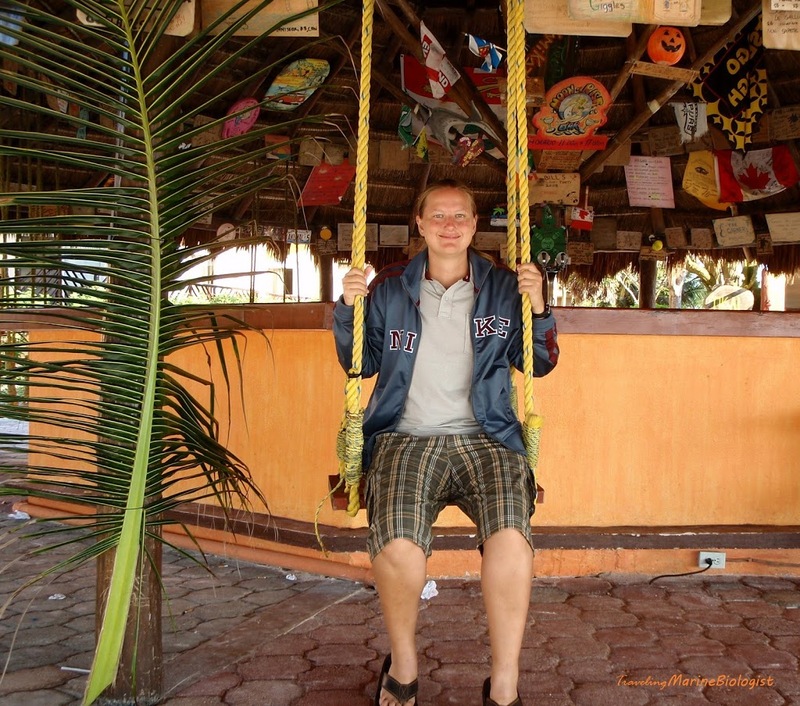 While Jess and I drove towards Playa del Carmen, we stumbled into a small town located in its outskirts. 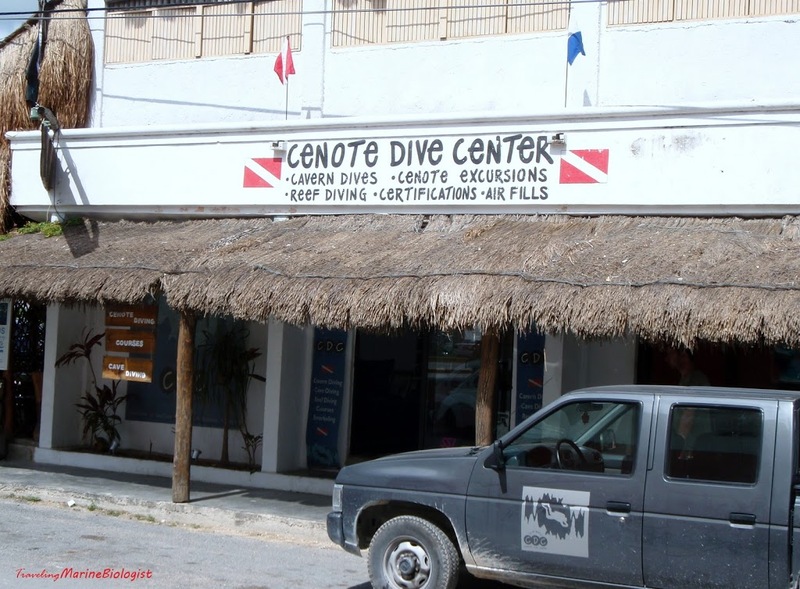 This particular town encompassed numerous tours on cenotes. If you recall from the previous discussion on cenotes – “Majestic Mexico Venture; a Journey Back Through Time;” these were found in many bodies of water throughout the planet. In this case, Mexico engulfed the best cenotes diving in the world! 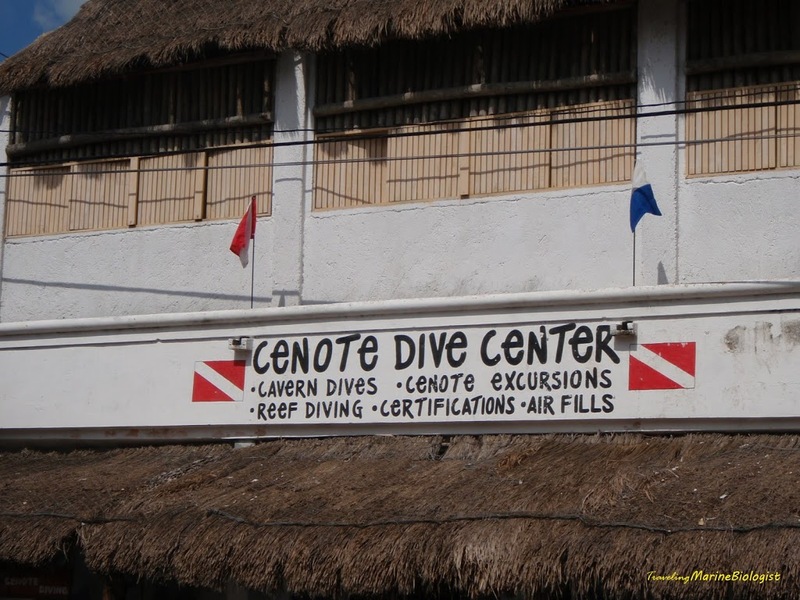 Unfortunately, we needed a full day to take this memorable dive; we only had the earlier afternoon and evening left before our departure to the states the next morning. 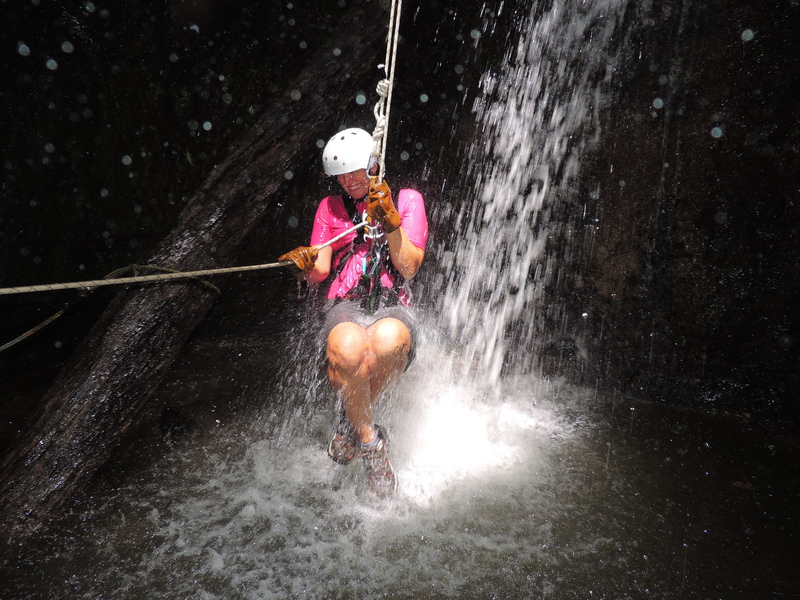 Regardless, we could not partake in cenotes dive, but we were still able to make our last full day in Mexico brilliant! 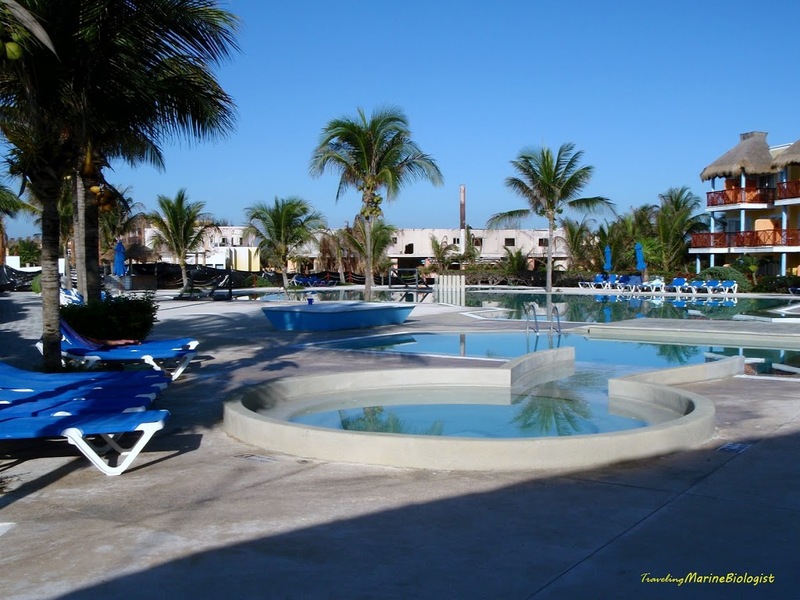 Playa del Carmen is a great substitution to visit instead of participating in cenotes dives. 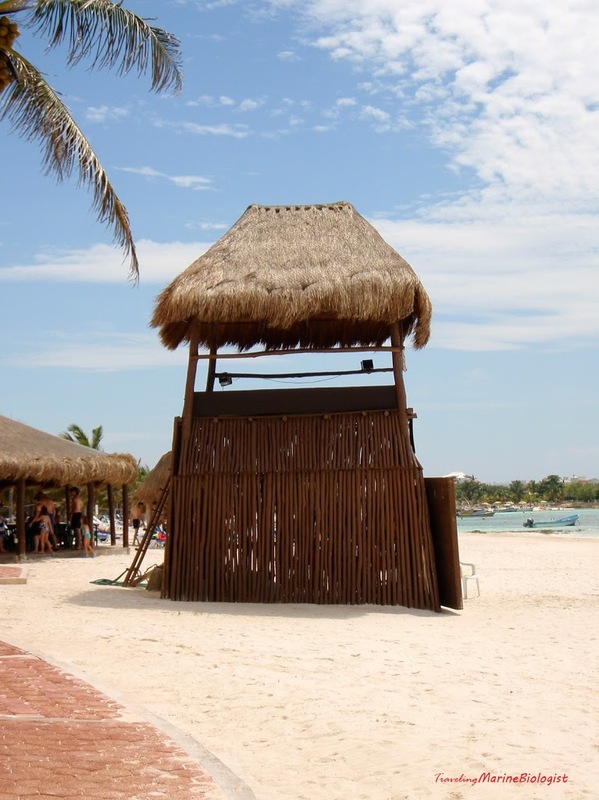 A little background about this fabulous town – Playa del Carmen is a cosmopolitan town located on the Caribbean Sea about 35 miles South of Cancun in the heart of Mexico’s Mayan Riviera. The town is small enough where you can walk just about anywhere you need to go. The location of Playa del Carmen and its nearby attractions makes this the perfect holiday destination for a Caribbean Vacation. 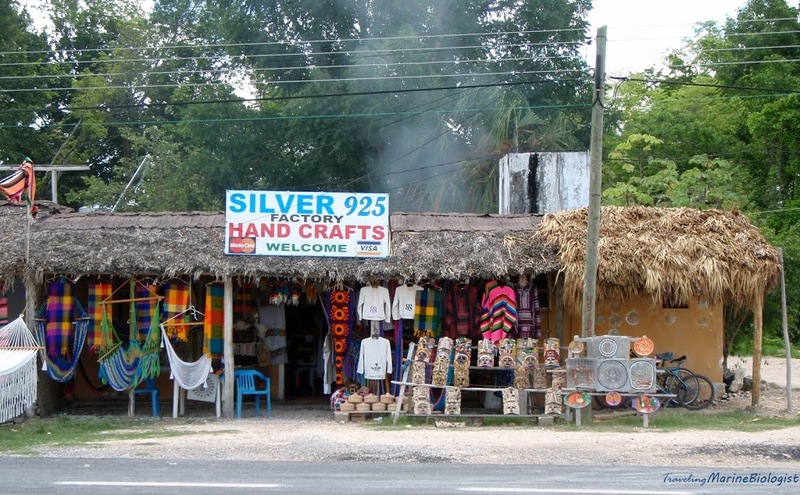 A typical day in Playa, as the locals call it, can be spent relaxing under an umbrella propped along the breathtaking Mayan Riviera beaches sipping a margarita. The azure sea is the perfect temperature for a swim, and the ocean breeze is steady enough to keep you cool. 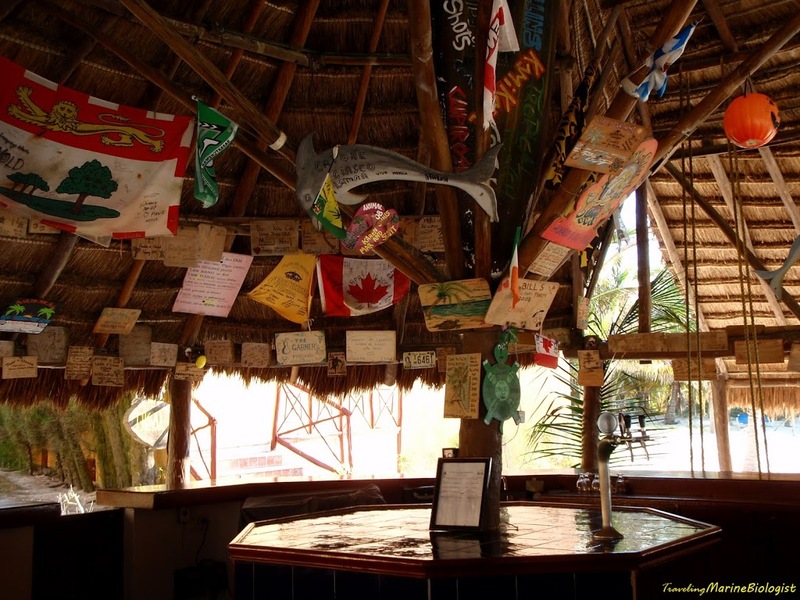 Seaside bars and restaurants are located all along Playa del Carmen beaches and are the perfect place to kick off your shoes and enjoy lunch with your toes in the cool, white sand. During the afternoon, you may browse the many shops and markets along 5th Avenue or Quinta Avenida; to the locals this street is known as La Quinta. It is a pedestrian walkway and a common point of reference. Avenues, avenida in Spanish, run parallel to the beach. They are given numbers in increments of five, 5th Ave, 10th Ave, etc. Streets, calles, are perpendicular to the coast and they have even numbers north of Juarez and odd numbers to the south. 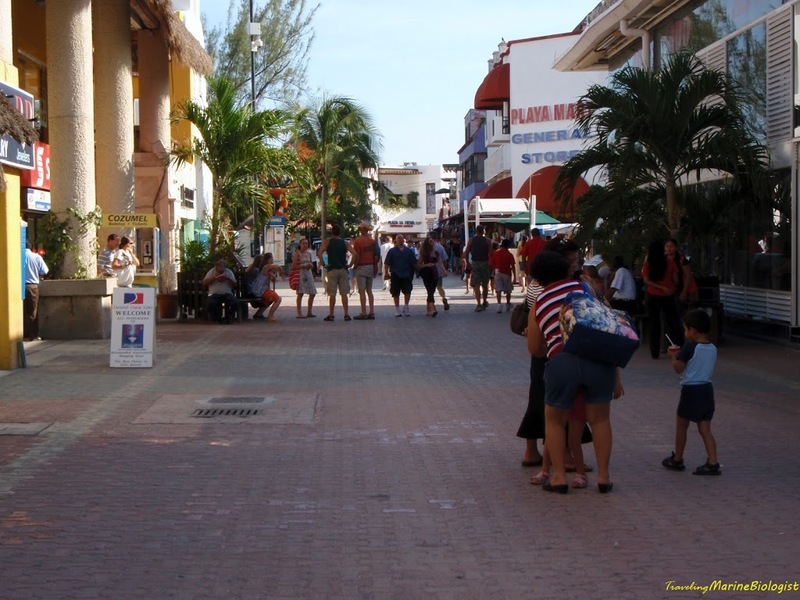 When Jess and I arrived in Playa del Carmen the streets were filled with people of all different ages. 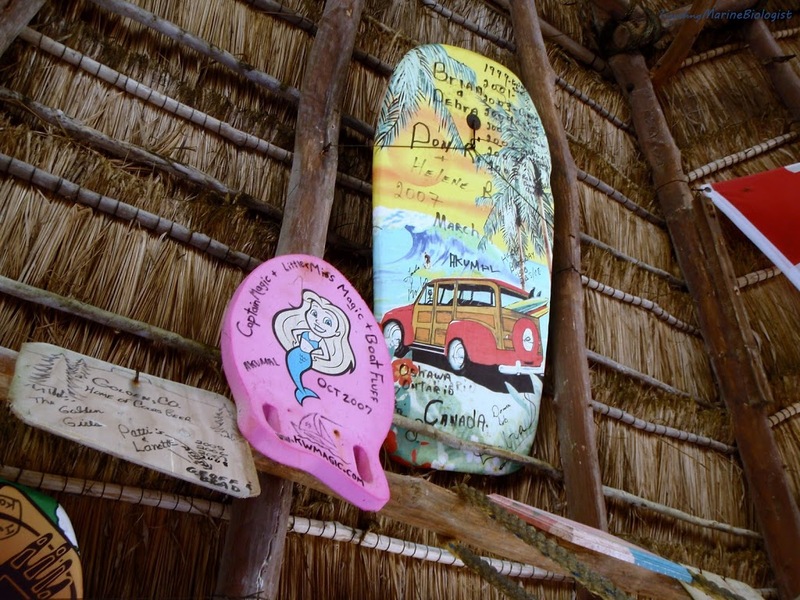 Automatically we knew were in the right place – a place with lots of activities to partake in. One of the traditions I kept with my mom and brothers was when I travel to a new destination, I always bring some of the culture back with me. In other words, I turned into your “typical tourist” and purchased a few dozen souvenirs. Ever since I started taking my first road trip, I have bought magnets, key chains, and other small trinkets for my family. Now with Adrian, I tend to look for Quicksilver shirts in various places all over the world – he loves his gifts! Did you ever notice how difficult it is to buy for men? Anyways, slightly off topic! All of my friends will tell you that my souvenirs consisted of shot glasses that I purchased in far away locations. This definitely seemed like a great idea at the time! Unbelievably, I now have a collection of 250! I realized after my 250th shot glass that I not only have a lot of shot glasses, but now I have a very full closet! Needless to say, I have stopped collecting shot glasses and have just started focusing more on taking hundreds of pictures in each destination. This pleased my husband very much! Regardless of my slight obsession collecting shot glasses, I purchased several in Playa del Carmen. I also upheld my tradition with my family and bought a few quality and meaningful souvenirs that I knew that they would love. 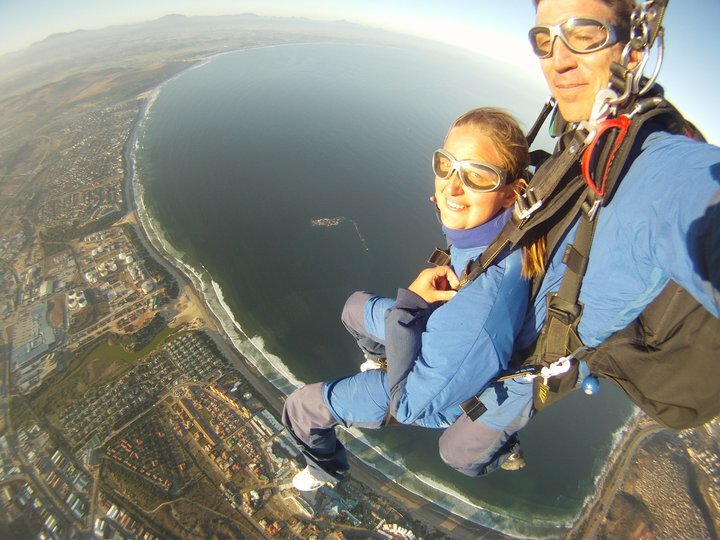 On top of this, I purchased a snorkel PADI approved kit – too bad the flippers were too small for my feet! Minor details! One of my favorite souvenirs that I started a collection for was artwork. I selected some artwork in Playa del Carmen for my new condominium. 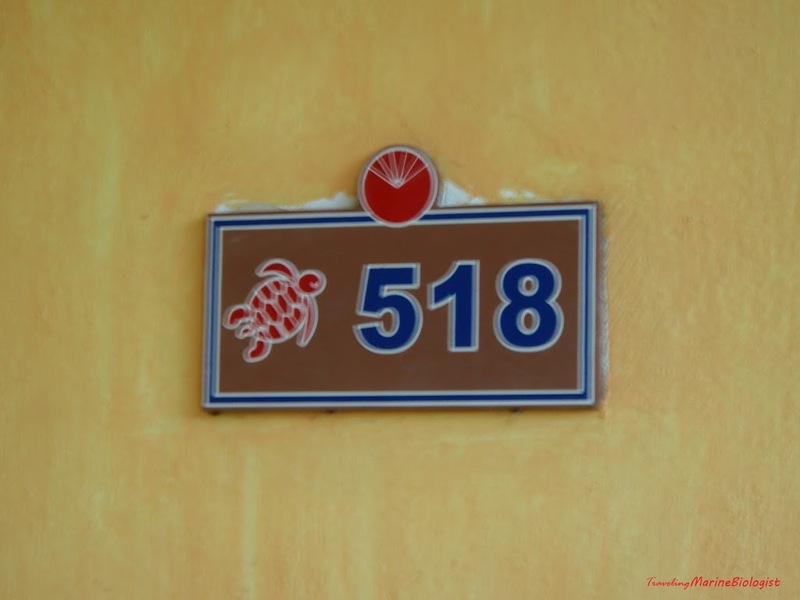 The first set of the artwork comprised of a mirror and had fish, dolphins, and the words, “Playa del Carmen” mixed together on a vibrant platform – it was definitely a “fun” piece to remember this beautiful location. I liked it so much, that I also purchased the larger version of this mirror – it had a little more marine life on it and the colors were slightly different. The second set of artwork that I adored had two mirrors in a dark maroon coloration with dolphins embroidered on the wood – both artworks with the same theme and color, but was different sizes. I absolutely adore locally hand-made artwork; these were perfect for my plain walls in my condominium! After I had made some large indents in my pockets with my “touristy” shopping spree, Jess and I had more one item on our list to get! 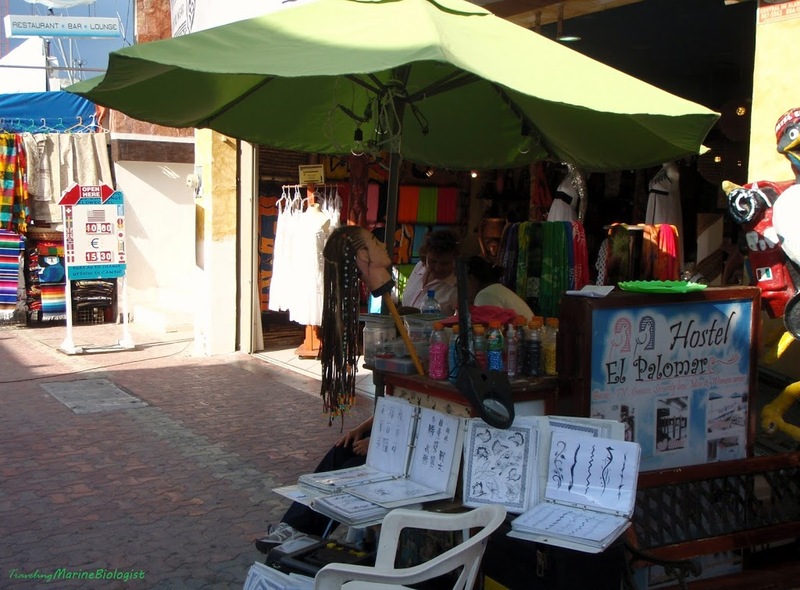 Henna tattoos were really popular in Playa del Carmen; there were small tents set up along the streets with artists anxiously waiting to write on your body! Since I was not ready for a real tattoo, this was the perfect choice for me. Not to mention that I could keep this unique creation temporarily! I also liked the idea that this provided the opportunity to view how a “real” tattoo would look on the location where the henna tattoo was placed. Currently, I do not have a tattoo, but I do plan on getting an “ocean themed” tattoo one day. Our temporary tattoos were a hit and we had some nice feedback on them! Jess had one dolphin engulfed with water on her shoulder and mine was a Chinese symbol of “Ocean” on my ankle. 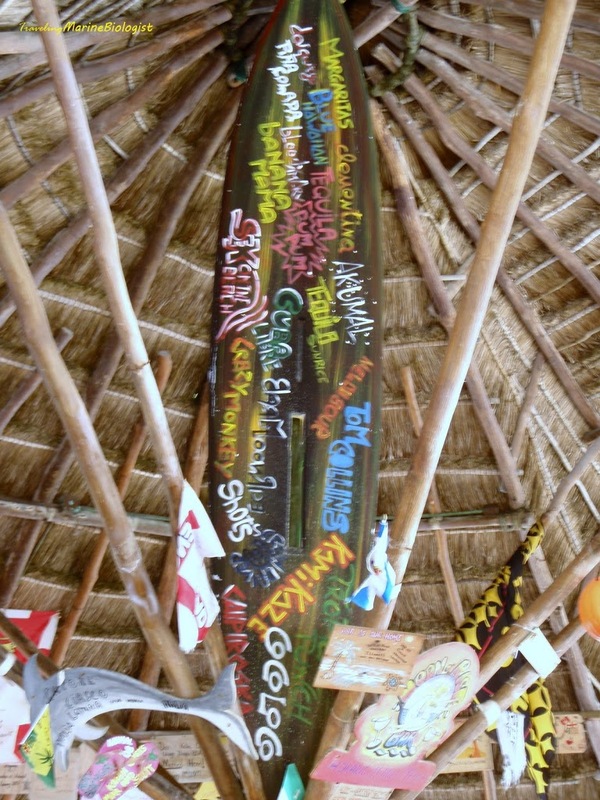 We heard from various locals that it was essential that we head to a palapa-roof restaurant and listen to some local music. As I mentioned the nightlife is unbelievable! 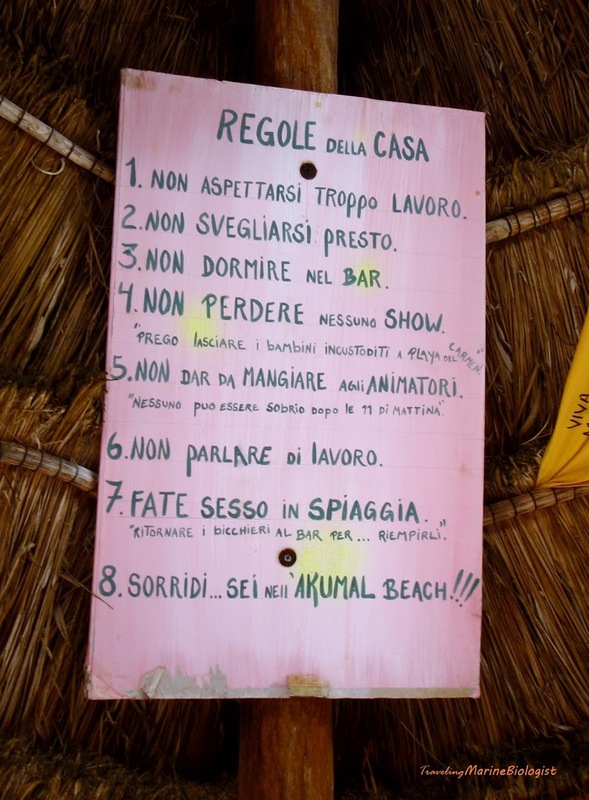 Jess and I discovered that there are plenty of fun bars on the beach and in town where you can kick back with an ice-cold cerveza and watch live music. Listen to rock, reggae, folk, mariachi, and Mexican bands all around town and dance to live Salsa music at the Mambo Cafe. 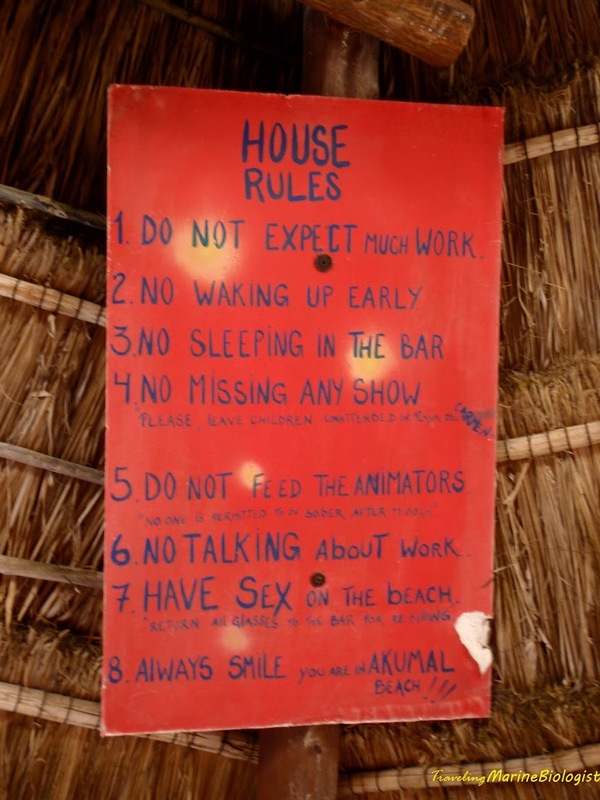 We mingled with the locals a little bit, but then realized that we had a very early morning. As sad as it was to leave, it was time to say goodbye to Playa del Carmen. 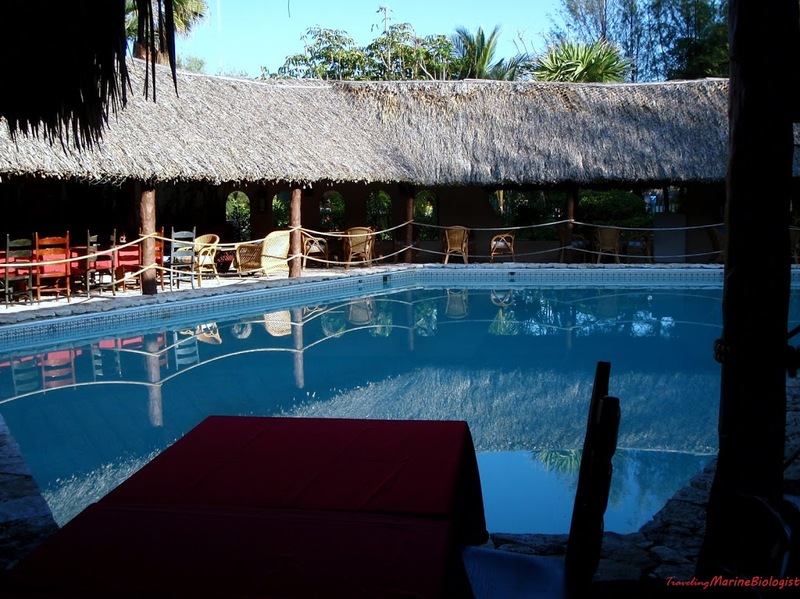 The sun lowered in the sky and we finally made our way back to Akumal Beach Resort. Shortly after we arrived we found the happily new married couple relaxing next to the beach. Some of the wedding guests brought their kids for the event. Jess and I played in the sand with a few of the kids during sunset. After we were physically exhausted from everything that we managed to do only in 5 days, we laid in the hammocks reflecting on the new memories that we had created. With the hammock swaying back and forth in the wind, the breeze blowing through my hair, the smell of saltwater and sand in the air, my toes resting in the cold sand, the taste of bits of sand sticking to my lips, and the sounds of the sea gulls navigating over the endless body of water all reminded why I absolutely love Mexico! That particular night was the most comfortable I had been in an extremely long time. I recall thinking that, “If the world felt this state of tranquility, everyone would be in a much happier mental state.” In addition, I remember thinking, “How awesome it would be to feel this way all the time?” This leads us into my next mission, “To search the world for the most peaceful locations that this world has to offer.” I welcome the challenges, adventures, and mysteries that I will face diving into the unknown. The next morning before we departed to the airport in Cancun, I went on a little photography activity and captured my favorite moments in Akumal Beach Resort!